A strong ridge over central Europe is collapsing and is pushed towards western Europe. 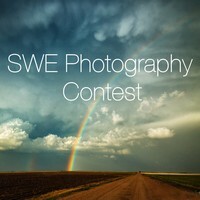 An upper trough moves across Scandinavia and deepens towards NW Russia. Convective activity is expected along the frontal boundary in SW Russia towards E Turkey and along the diffuse weakening frontal boundary moving from central Europe into the N Balkans. 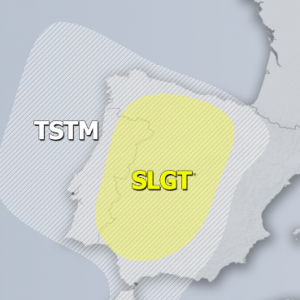 A SLGT risk area has been issued for NE Spain, S France, Switzerland, extreme N Italy, Austria, Slovenia, NE Croatia and W Hungary with threat for large hail, heavy excessive rainfall and strong wind gusts. Very strong instability but weakly sheared environment suggest that widespread pulsating storms or multicells / small clusters are possible especially across the eastern half of SLGT risk area. Here, local flash floods and marginal hail accumulations are well possible. A more isolated activity is expected further west over S France and N Spain. 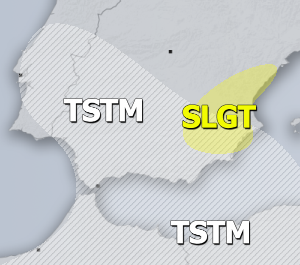 A SLGT risk area has been issued for E Turkey, Georgia and extreme SW Russia with threat for large hail, heavy rainfall and strong wind gusts.